Hearts attacker Dario Zanatta has joined Raith Rovers until the end of the season. 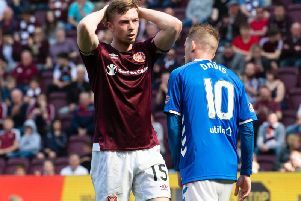 The Canadian, 20, has joined the League One side on a development loan, meaning he will be eligible to play for Hearts Under-20s. Earlier today, Hearts signed Raith skipper Ross Callachan on a two-year contract. Meanwhile, another Hearts youngster, Marcus Godinho, has joined Berwick Rangers on loan.